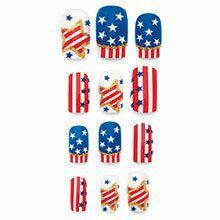 Show your patriotic pride with these fun and fancy stars-and-stripes nails. 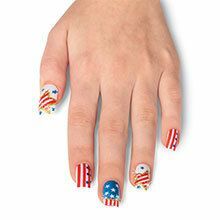 Set of 35 nails in assorted designs so you can customize your personal look. 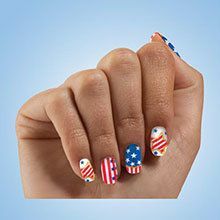 Nail glue included.